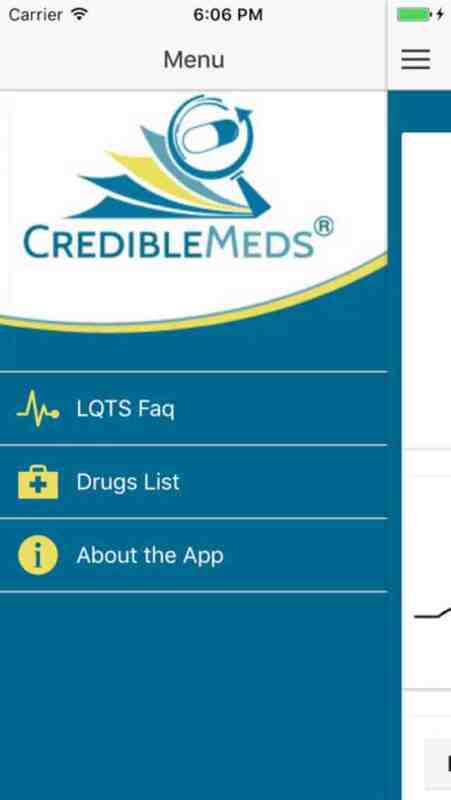 This CredibleMeds Mobile App supports the CredibleMeds.org website which maintains and posts lists of drugs in categories that reflect their ability to prolong the QT interval on the electrocardiogram and/or cause the life-threatening heart arrhythmia, torsades de pointes (TdP). The CredibleMeds Mobile App was developed for patients with Congenital Long QT Syndrome, healthcare professionals and research scientists in order to provide them with ready access to the most up-to-date version of the CredibleMeds lists of drugs. The App also provides background information on the categories of drug risk and explains the relationship between QT prolongation and TdP. For healthcare professionals and research scientists, the QTdrugs Lists can be used to identify which drugs can cause QT prolongation or TdP. For patients with Congenital Long QT Syndrome, the drugs and risk categories are described and presented separately as the Drugs to Avoid in cLQTS.